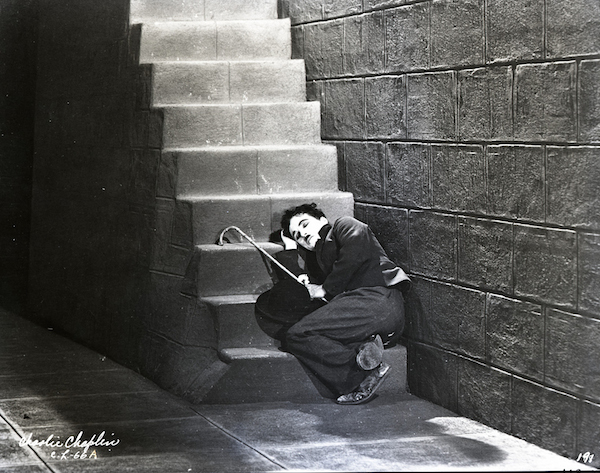 This is a guest post for Silent London by Carl Davis CBE to celebrate the 126th anniversary of Charlie Chaplin’s birth. Renowned as a composer, Davis is a conductor with the London Philharmonic Orchestra and also regularly conducts the Royal Liverpool Philharmonic Orchestra. 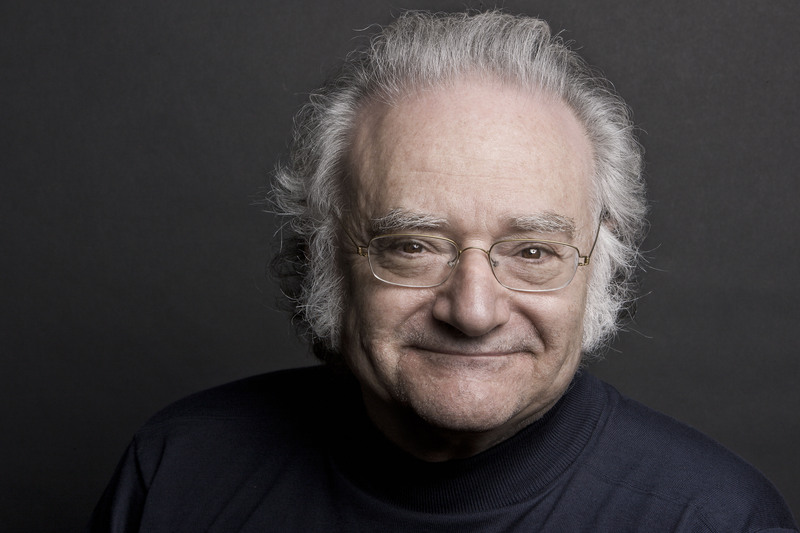 He has written music for more than 100 television programmes, but is best known for creating music to accompany silent films – including his score for the Kevin Brownlow restoration of Abel Gance’s Napoléon. 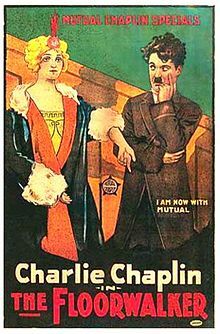 In 2003 and 2004 the British Film Institute released, in two volumes, 12 comedy shorts by Charlie Chaplin, created by him at the contractual rate of one a month across the years 1916-1917. They are known today as “The Mutuals” after the company that produced them and, as in my case, they are often the first glimpse that people have into the art of Chaplin. My first adult look at this project occurred in 1983 while scoring the Thames Television three-part series Unknown Chaplin: virtually the entire first episode consisted of an analysis of Charlie’s working methods, brought to light after a hidden cache of Mutual out-takes had recently been discovered. The next step forward occurred in 1989 after the successful experiment of transcribing the orchestral score and parts of the 1930 recorded soundtrack of City Lights for a live performance at London’s Dominion Theatre. The performance started a vogue, thriving today, of stripping the scores from the soundtracks of all manner of sound films and performing them live. After the London screening I found myself conducting City Lights around the world and subsequently I expanded my Chaplin repertoire with The Gold Rush and The Kid. Out of sheer enthusiasm I added the shorts The Immigrant and Easy Street to my list. But the real impetus to continue came in 2003 when I discovered that the BFI were planning to release the complete Mutuals. I declared my interest and our collaboration began. Starting with Abel Gance’s Napoléon in 1980 and managing up to three scores a year, I created a wealth of product. When the funding for my work for Channel 4 ended in 2000, I couldn’t abandon this unique and fascinating career and sought an ambitious, large scale project of my own. I thought about completing what I had already begun: scoring the complete Mutuals. Together with my publisher Faber Music, we approached the distinguished collector David Shepherd, known for holding the best quality Mutual material, and the project formally began. My experience of immersing myself in Chaplin’s own music as I transcribed the later features, all held and lovingly preserved in a huge underground vault in a suburb of Geneva, certainly gave me what I felt was a valid approach to scoring a Chaplin. As far as I know Chaplin himself never scored a Mutual, but the first-class scores he created for City Lights and The Gold Rush led the way. Chaplin instinctively knew what the right music was for his films, style as well as content. Amazing, considering he had no formal musical education and could not write out his ideas. He relied on an assistant, to whom he “LA, la, la’d” his tunes. No question, a frustrating affair. The struggle continued through the recording sessions, as I discovered while sifting through the scraps of rewrites that littered the Geneva envelopes. But what was his music like? I am a firm believer in the influence of childhood experiences and the musical life of the final decade of the 19th century was at young Charlie’s disposal. Both of his parents were performing vocalists of some talent and London was bursting with theatres and music halls. Once Charlie was off the streets and into a life in the theatre and on tour, he would have been surrounded by musicians, singers, dancers and every kind of novelty act, every day of his working life. When faced with a project of the range of The Mutuals, I could see how it could all fit in. What increasingly excited and impressed me was the diversity of the subjects and their social world which Charlie continuously and mostly unsuccessfully tries to penetrate. I could even, if I chose selectively, create a mini-biography from clips of these films: the destitute childhood in the slums of South London, the years in Variety, the voyage to America and learning his film craft in early Hollywood and the creation of the iconic figure of the Tramp. To a certain extent, Charlie’s musical tastes were formed in the years leading up to 1913, and his arrival in Hollywood. They would include his parents’ repertoire of Victorian parlour ballads and somewhat broader music hall marches, polkas and waltzes for comedy and other dance routines. The Variety houses would also include popular operatic arias and even classical ballet. The dancers of the Ballet Russe appeared, trying to increase their meagre salaries. Charlie was a brilliant mimic who plays a convincing violin in The Vagabond and performs virtuoso ballet steps in both The Floorwalker and The Cure. This period also saw the birth of jazz and its influence on popular music and dance which added to Charlie’s range. The practice of lifting chunks of classical music began as soon as the cinema became a professional entertainment. Charlie quotes the classics in his scores for The Great Dictator (1939) and his 1942 recut of The Gold Rush. So it is perfectly in order for me to quote from Gounod’s Flower Song from Faust as he waters artificial flowers in The Floorwalker and patrols the disorderly streets of a slum dressed as a cop to Gilbert & Sullivan’s A Policeman’s Lot is not a Happy One in Easy Street. During the course of composing these scores, I began to discern an overall form, a defining shape to the material. Just as Charlie employed a small group of actors of contrasting size, shape and disposition across the whole cycle, I too could use a handful of themes which could jump from film to film. Seeking further insights into the material, I sifted his output into early, middle and late periods. The early period comprises the first three films, which are very heavily plotted, Victorian melodrama even: absconding with a mountain of cash from a department store’s safe, a fire insurance scam and the kidnapping of a young girl by gypsies, all to suitably sinister music. The fun is in the stuff in-between. 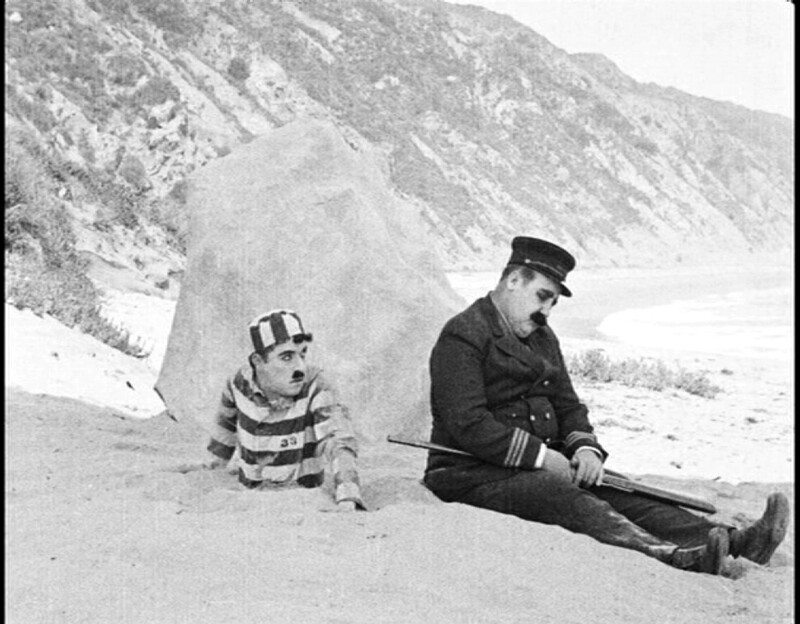 At this point, Chaplin makes the plotting of secondary interest and focuses instead on the gags. The ‘middle period’ films are held together more by their theme rather than plot: a portrait of early Hollywood, a drunken swell struggling with his rebelling house, a tailor’s assistant invades a posh costume ball. It is in the final group that Charlie really hits his stride, where the plot and the jokes are in perfect balance. These films are his acknowledged masterpieces, The Cure, The Immigrant, Easy Street and The Adventurer. Another hint from Charlie is the frequent use of what is known in the business as source music: that is I see where the music is coming from and try to convince the viewers as to the accuracy of my guess. These include a small marching band confronting Charlie’s street violinist in The Vagabond, restaurant groups in The Rink and The Immigrant and party orchestras in The Count and The Adventurer. Even Edna Purviance, Charlie’s leading lady in all 12 films, tickles the ivories in The Adventurer. I am inclined to obey these images and provide the correct sounds – which takes me to the matter of sound effects. In the case of sound effects, there is always the question of should we attempt to provide all, none at all, or a select few. Again, I go back to Chaplin’s soundtrack for City Lights, where a choice is made. The obvious ones are there, a gunshot, an excited crowd and a boxing ring bell, but most often they are omitted, paving the way for the music and the audience’s imagination to do the rest. I give myself the added limitation of only using effects that I can create using in the main orchestral instruments and players. I use a consistent orchestra line-up, which I designate “not quite an orchestra”. A handful of wind, brass, piano and percussion and a string quartet plus bass give sufficient sound to bridge the sparseness of the solo piano or organ to the lushness of Chaplin’s post-1930 scores. For these 12 jewels have now had an extensive “live” career from curtain-raisers to features, sometimes by Chaplin, sometimes not, to a full “Mutual” evening. In recent years I have also been using them as the basis of a lecture with clips illustrating Chaplin’s extraordinary life story. Using only these films I am able to show scenes from the slums of Lambeth, the British Variety stage, the Atlantic crossing and his first experiences in Hollywood. After completing the 12th film for Mutual, Chaplin, together with DW Griffith, Mary Pickford and Douglas Fairbanks Sr, founded United Artists – and a whole new chapter of life and career began. 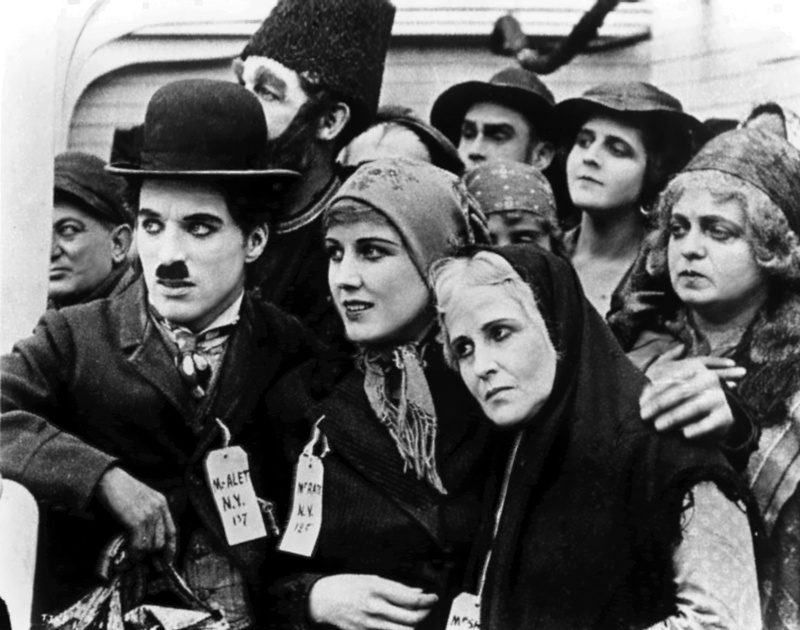 Carl Davis conducts The City of Birmingham Symphony Orchestra in a live soundtrack to Mutual short Behind The Screen (1916) and Chaplin’s Modern Times (1936) at Symphony Hall Birmingham on Friday 1 May. 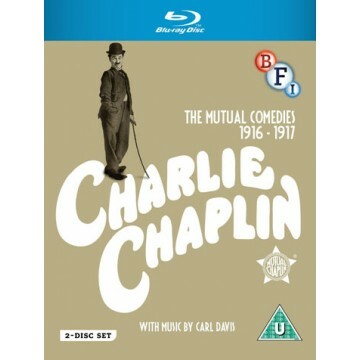 The 12 Mutual comedies (1916-17) have been fully restored and will be released in a two-disc Limited Edition DVD and Blu-ray box set by the BFI on 18 May 2015. The Mutuals features specially composed music by Carl Davis and a raft of special features. A CD will also be released on Threefold Music.